Thanks to a reader Nikhil Muralidharan who clicked this photo and shared this with me on my FB page. 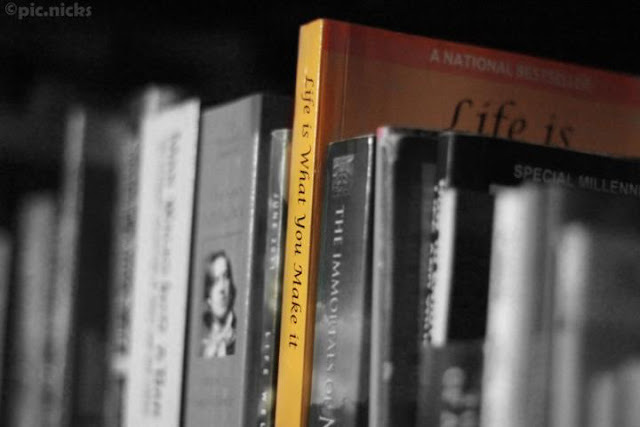 'Life is what you make it' was declared a National best-seller in the second month of its release. It has now gone into seventh impression. It has been consistently topping the Hindustan Times top ten best selling fiction list. It has appeared on India today top twenty best-selling list too. It is number one on Flipkart best sellers. It is on the Landmark best seller list too. If you have read it, a big thanks to you for making this happen. You can get it in all the leading bookstores in India. But it is really flying off the shelves, so in case they don't have it, you can get it over the phone. I was checking it on amazon till last month-- lets see if we have it nw... will be great to have it!!! I have read both your books and loved them. It's very nice to see that all your efforts get recognized...it's not a tiny achievement to be able to go into 7th impression and top the bestsellers list...you made us all proud....keep it going...wishing you more success in coming days. 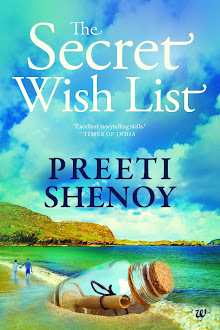 Hi Preethi! I just finished reading the book, and absolutely couldn't stop myself from logging on, and telling you how much I loved it. It truly is an exceptional book, narrating a story of exceptional bravery, and determination ! Kudos ! I bought it...I bought it looong back;-D. And enjoyed the book very much. And told u too;-D!!!! 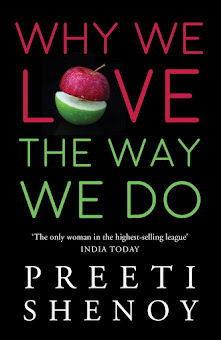 Congrats Preeti on the success of the book !!!!! I promise you, I'll buy it soon! I'm sure I'll enjoy 'LIWYMI' as much as I enjoyed the first one. Thaaaaaank you, reflections,sparkling,sulo,mistress of art,aathira,Izone! Gifts cascade the unspoken words of feelings that you desire to communicate to your loved terms. Right gifts for the right moment uplifts the celebration spirit, and with HampersNationWide.com you experience it to the fullest. Watch out www.hampersnationwide.com/USA/Gift_Hampers_to_USA.asp now. I have read your book,It is awesome,truly a very nice book,I enjoyed every bit of writings in it. I love your blog.you really is doing a great work,I am inspired from lot of your posts and writing. Hello Preeti,I really like ur book "Life is what u make it".This book totally changed my life.Now I m reading it for second time.Thank u Preeti for such an insprational book. Last week, i read it. I am not so a big fan of English books but now a book named "Life is What you Make it" has made me fan of yours. Only i know how i finished this novel in a single sitting. Every page was making me cry and cry. It was difficult for me to stop it. It touched really... really my heart. But now problem is that 'ANKITA' is just a fictional character... what must we do if we face this character in real. I am considering myself as joseph(sorry, if name is wrong). I have a friend whose mentally condition as same as ankita. I don't want any bad occurrence with my friend just happened with ankita. She is trying to forgot her past but what if something happened with her like ankita. Your book has made me scared too.